Dubbed the Trump of the Tropics, Jair Bolsonaro’s win in the Brazilian presidential election sent shockwaves throughout the world. Despite his controversial right-wing views and populist style, the underdog snatched the presidency in South America’s largest country. With limited airtime at his disposal, Bolsonaro’s victory was down to his successful digital campaign, in which WhatsApp played a key role. This article has more on the growing importance of social media in public debate. Dolce & Gabanna risk missing out on the luxury boom in China following a serious blunder. Drawing a great deal of criticism in the last week, the designer label’s new ad campaign featured an Asian model struggling to eat Italian food with chopstix. In addition to the “culturally insensitive” commercial, the company’s co-founder was accused of sending a number of offensive and racist messages from his personal Instagram account. The luxury label cancelled their Shanghai fashion show last minute and now faces an uphill struggle to overcome the backlash. Here’s a look at some other fashion brands who have found themselves in hot water after upsetting Chinese consumers. With the number of internet users on a steady upward climb in India, the country’s digital industry is going through something likened to a lingual facelift. Despite being home to several hundred dialects and 22 officially recognised languages, the user-facing side of India’s tech scene has so far been dominated by English. Now, in a bid to build meaningful relationships with customers, local tech giants and digital startups alike are investing in eradicating language barriers to offer India’s netizens the familiarity of their mother tongue. From the growing demand for social and visual listening to the best ways of tackling the gender pay gap in the tech industry, there were plenty of topics that captured our interest at Web Summit 2018. 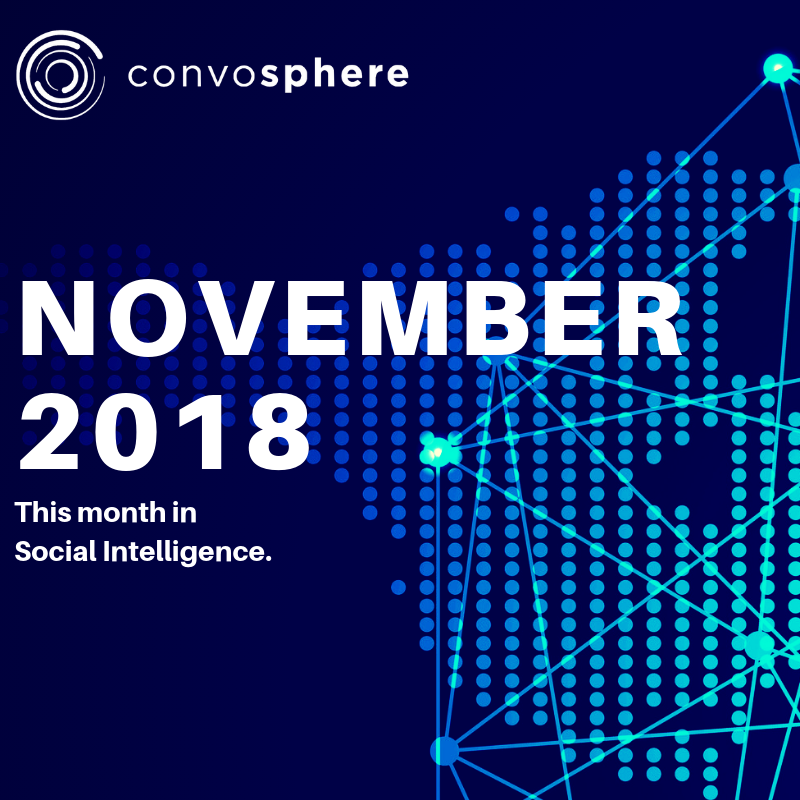 Convosphere’s very own #WomenInTech team had a brilliant time meeting up with like-minded nerds and learning about the latest, innovative uses of social. Here’s a recap of our action-packed days at the world’s largest tech conference. Keen to learn more about our social listening services? Contact us today.